Stan Lee, co-creator of some of the world's most famous superheroes, is creating a new comic book series -- and writing a leading role for himself. 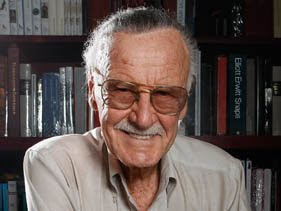 Lee, 87, who helped create Spider-Man, Iron Man, and The Incredible Hulk, is working on a multimedia series called "Super Seven" for print, online broadcast and retail in late 2010, Lee and his business partners said on Wednesday. The series is about seven aliens who find themselves stranded on Earth after their spaceship crashes and are befriended by Lee himself.